Every email marketer is familiar with email camapaign open and click-through rates and while these metrics are important, they shouldn't be the only ones you rely on to determine the success of your email marketing programs (especially since tracking email campaign open rates can be problematic). 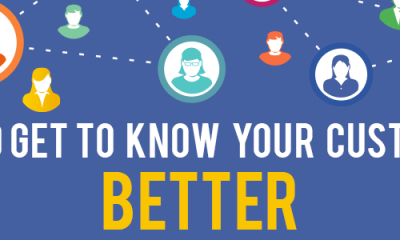 Understanding key email marketing metrics will help you determine whether your emails are achieving their target goals, like reaching new clients, strengthening customer loyalty or boosting the brand image. In fact, using refined metrics may lead your marketing team to update its goals. Of course don't stop at just understanding email campaign metrics. Here's a look at a broader range of essential website metrics to complement this article. Click-to-Open Rates: While click-through rates measure how many clicks the links in your messages get, the click-to-open rate is the number of clicks based only on emails opened, rather than all messages delivered. Message Size: This is a good metric to keep track of. While the general rule for message length tends to be shorter is better, it's smart to vary the content types to keep readers engaged. BTW – large messages with big images may get blocked entirely. Hard-Bounce Rates: These metrics are as brutal as their name sounds. A hard bounce occurs when your email is sent to an address that doesn't exist. Even though you're using permission-based email marketing software, it's easy to collect addresses that contain typos and therefore and invalid. By measuring hard bounces, you can determine whether your sign-up form needs to include an address verification step to avoid wasting time sending messages to nobody. Soft-Bounce Rates: Soft bounces happen when an email you send doesn't get delivered. While it's important to track both hard and soft bounces, don't get too caught up in these rates, as they tend to fluctuate. If you consistently see high numbers though, it's time to take action. Unsubscribe Rates: It can be more difficult to acquire new leads than it is to keep existing ones. That's why it's crucial to nurture relationships with your email contacts. Unsubscribe rates let you know how often and how many addresses opt out of receiving your emails. Here's a list of more measurements that can help you determine the nuances affecting the success of your email marketing campaigns. SPAM complaint rate is the number of your recipients per 1,000 emails sent, that click the 'This is SPAM button to report your email as spam. 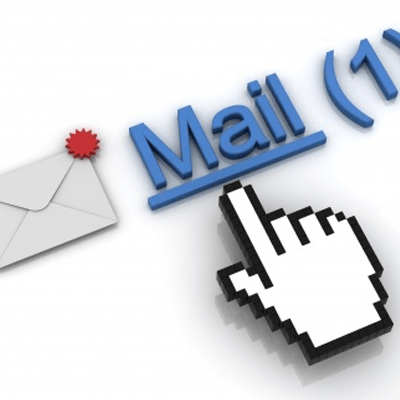 Acceptable rates for most Email providers are about 1 complaint pe 1,000 emails sent. Because of our volume – Pinpointe's standards are higher than that. Sometimes people are just lazy and don't feel like finding the unsubscribe link. But most of the time, they're just plain tired of getting your content (or they didn't expect it), so they mark your email as SPAM. Your brand's reputation relies heavily on how your clients and other email recipients perceive you / your brand. So it's critical to monitor how many of your subscribers mark your emails as spam because if people are labeling your messages as spam, they probably won't have a positive image if your brand. Besides – complaint rates directly impact campaign delivery rates, so you've got every reason to keep complains under control. This measures the number of emails that make it a primary inbox folder. A drop in inbox placement can often explain low open and click-through rates. While a message have successfully been received, it may get sent to the spam folder instead of the inbox. Considering the recent change to Gmail (addition of Gmail Tabs), this is an important metric. Google's email service now gives users the option to use three or more tabs for email, and many marketers are seeing their messages arrive in the promotional folder. While this isn't necessarily bad, we have seen an initial decrease in Gmail response rates of about 13%. If your email provider includes a 'Social Share for Email Campaigns' feature, then track your social share metrics for your email marketing campaigns. Not only does this show you've successfully engaged your reader, but you've also potentially acquired a new lead. It's important to understand the reach of your messages, as they extend beyond the inboxes of the people included in your contact list. Clickz recommended looking at email recipients – whether they're clients or prospects – as going through four cycles: attract, engage, convert and renew. Each phase has separate metrics to focus on. For example, during the attract cycle, it's important to measure total email acquisitions and total website visits. When you're attempting to engage recipients, track email-open, bounce and inbox placement rates. Meanwhile, the Interactive Advertising Bureau suggested certain metrics are more effective for specific goals. For branding and long-term lead nurturing purposes, it's a good idea to focus on unsubscribe and complaint rates. To determine the effectiveness of a specific campaign, total and unique open rates, as well as total and unique click-throughs are very important. 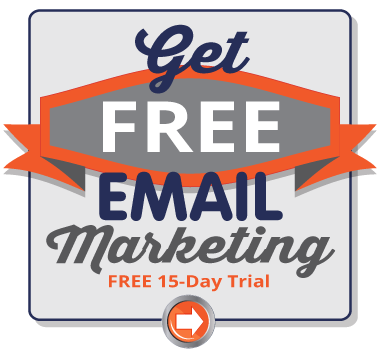 While measuring so much data may seem overwhelming, using the best email marketing software simplifies the task. 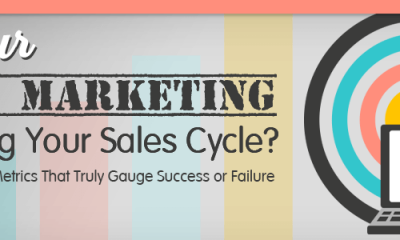 Is Your Email Marketing Improving Your Sales Cycle?